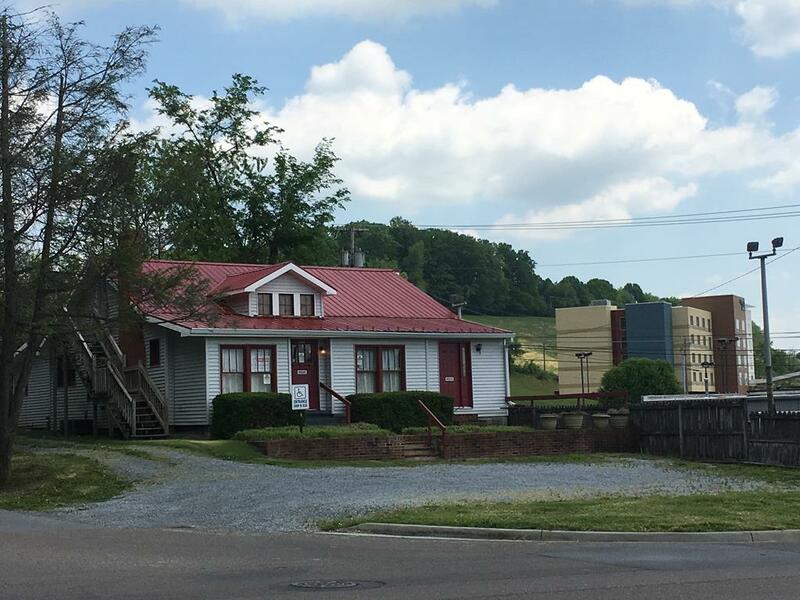 903 E. Main Street, Abingdon, VA 24210 (MLS #64831) :: Highlands Realty, Inc.
RETAIL OR PROFESSIONAL OFFICE SPACE available in Abingdon. Recent rapid growth and development has centered at Exit 19 at the crossroads of I-81, US 11, & US 58. Metal roof was added in 2011. Average daily traffic counts are estimated to be upto 25,000 per day according to the 2016 VDOT traffic report. This corner property on E. Main Street has previously been used as a retail music store and a law office. Off street parking is available in the front and rear of the building. Call today for more information and to schedule a showing.